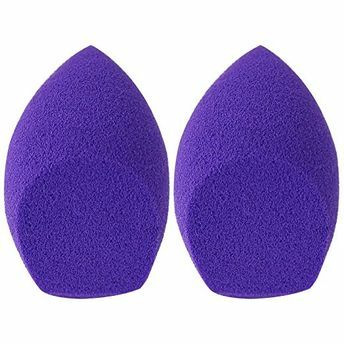 Erase makeup mishaps with Real Techniques Miracle Mini Eraser Sponges. From flaking mascara to eye shadow fallout, these little miracles help sweep away your makeup mistakes. It can be used to correct more than 6 makeup accidents. Flat edges help erase mishaps. Rounded side can be used to buff and blend.